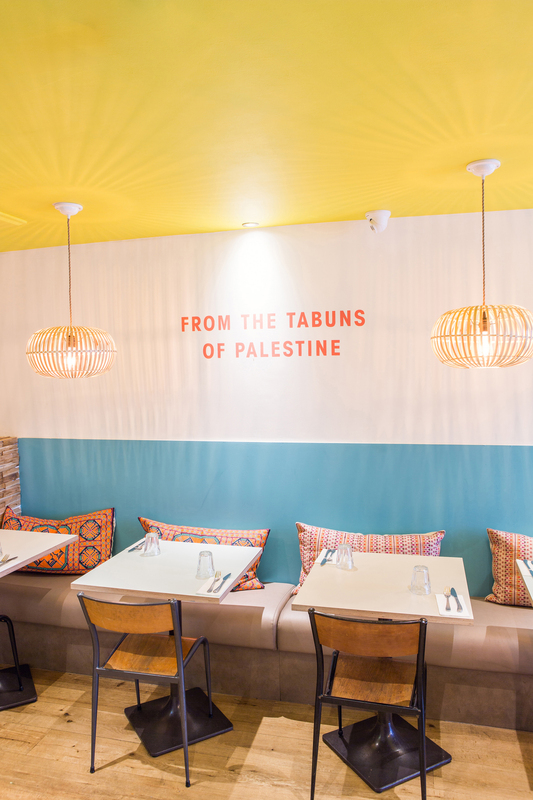 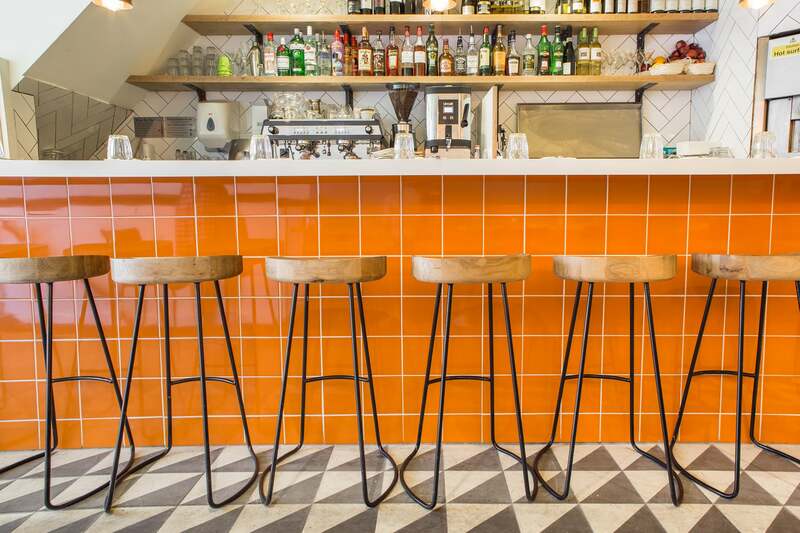 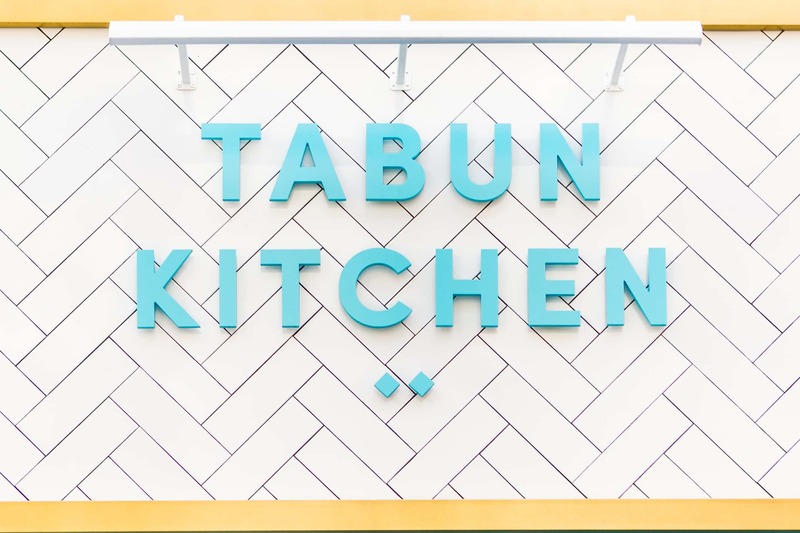 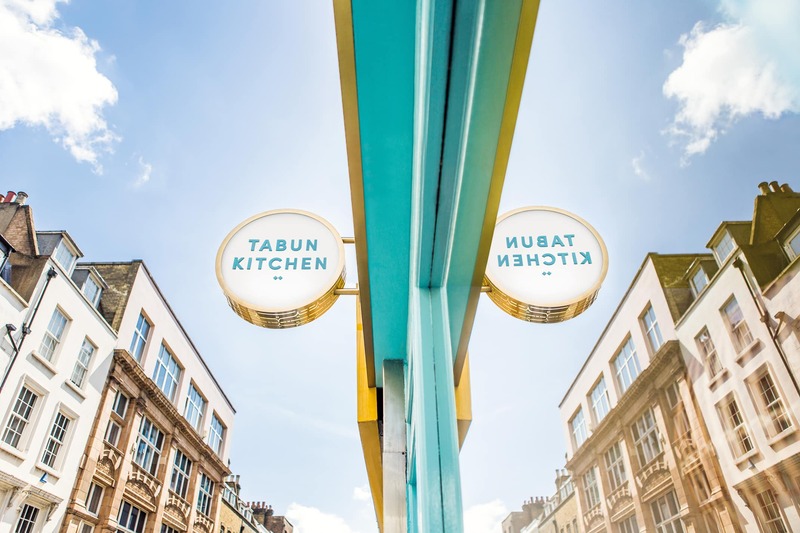 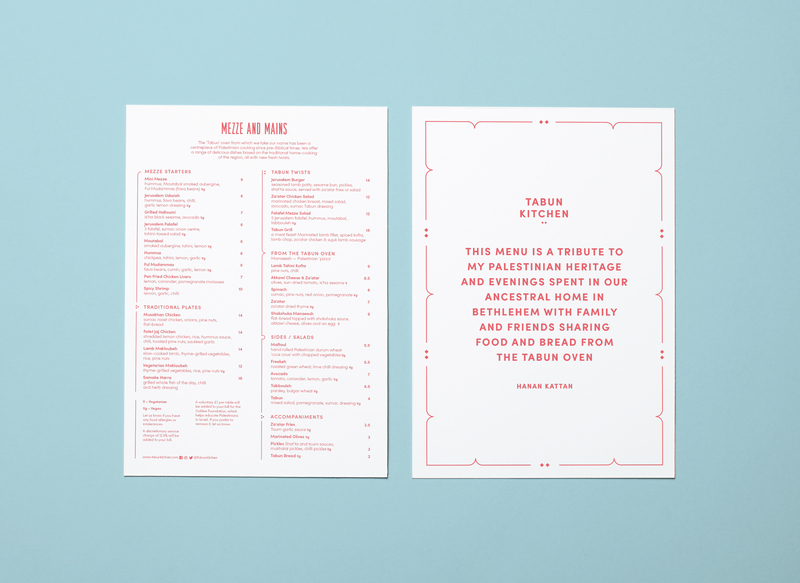 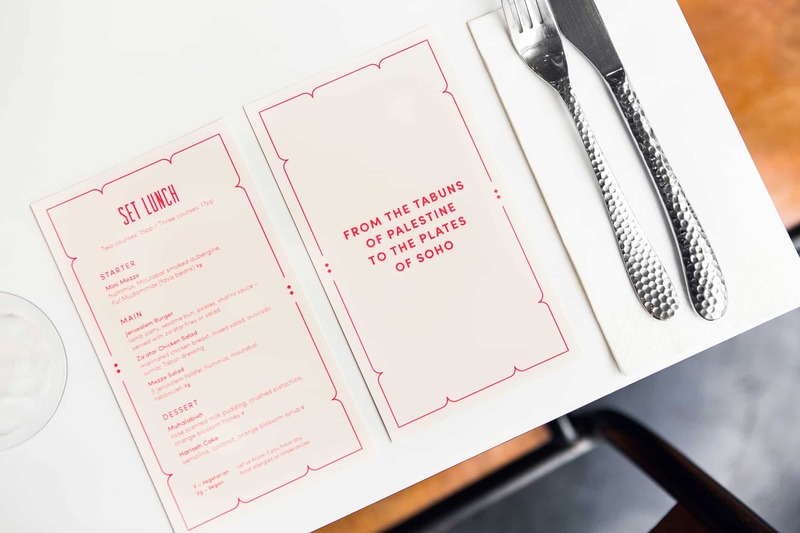 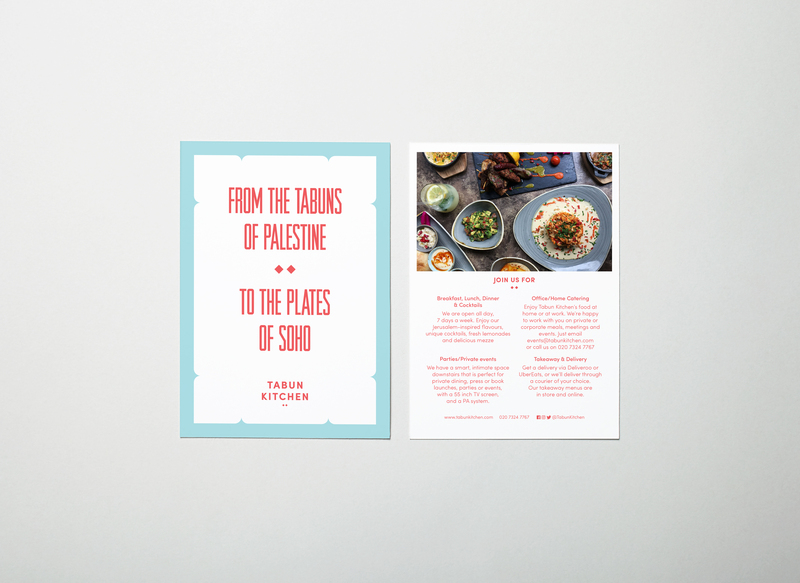 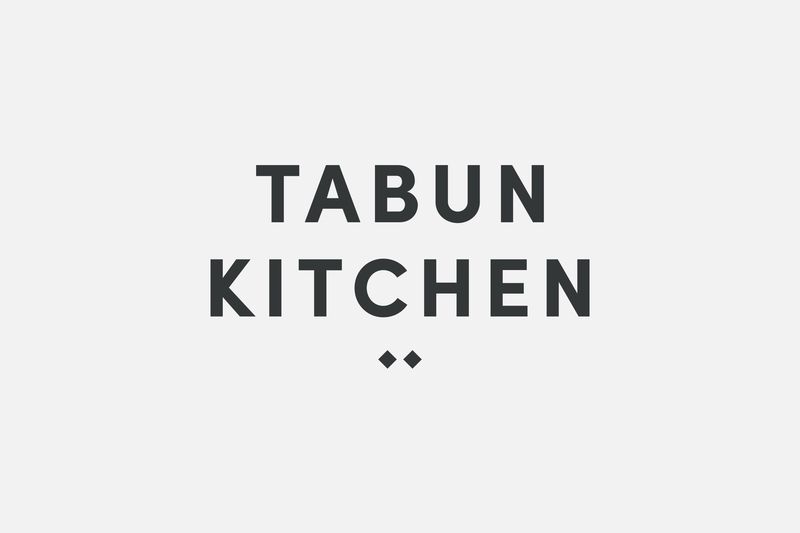 We were approached to rebrand Tabun Kitchen, a modern Palestinian restaurant in Soho, London. 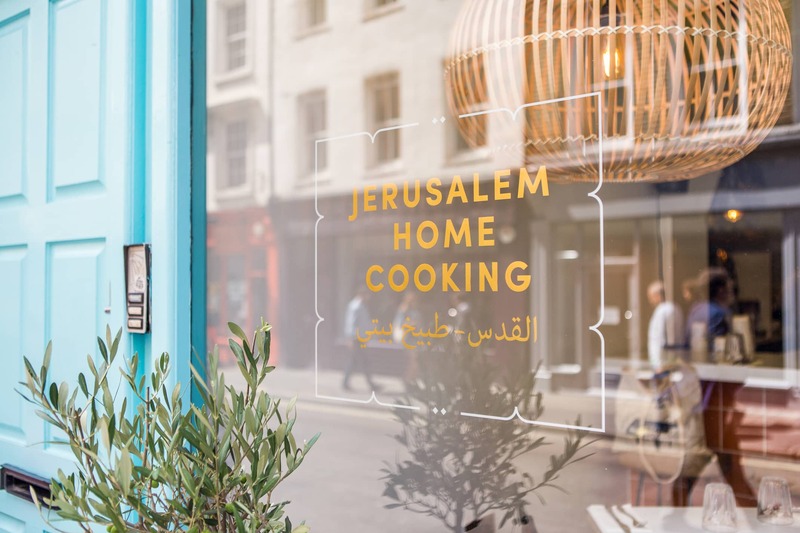 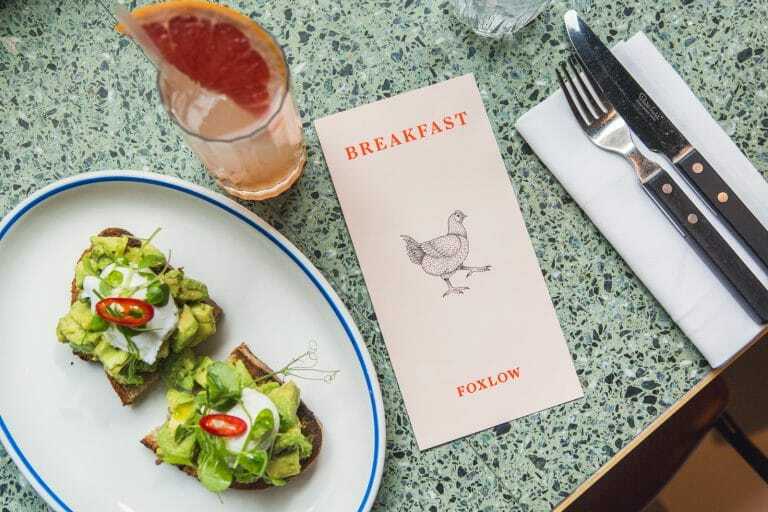 The restaurant serves up fresh dishes inspired by the home cooked meals of founder Hanan Kattan. 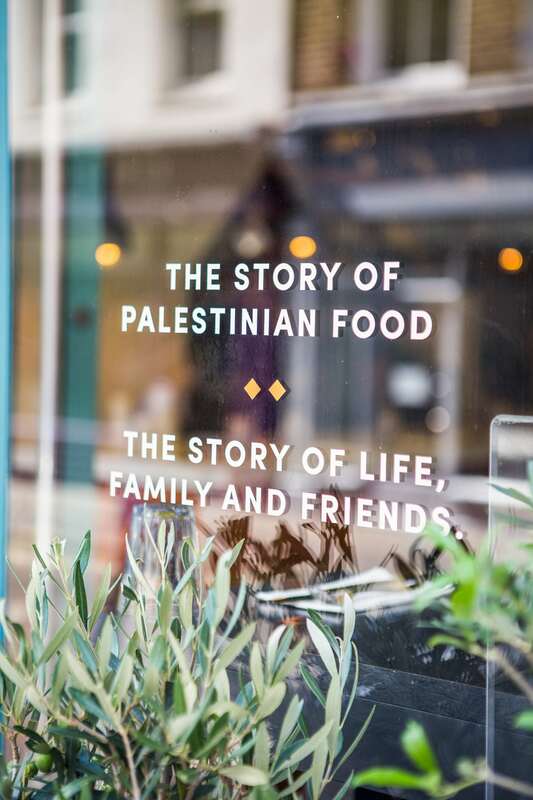 Hanan grew up eating meals with family, and visiting her grandfather’s olive farm in Jordan, which was a great inspiration when setting up the restaurant. 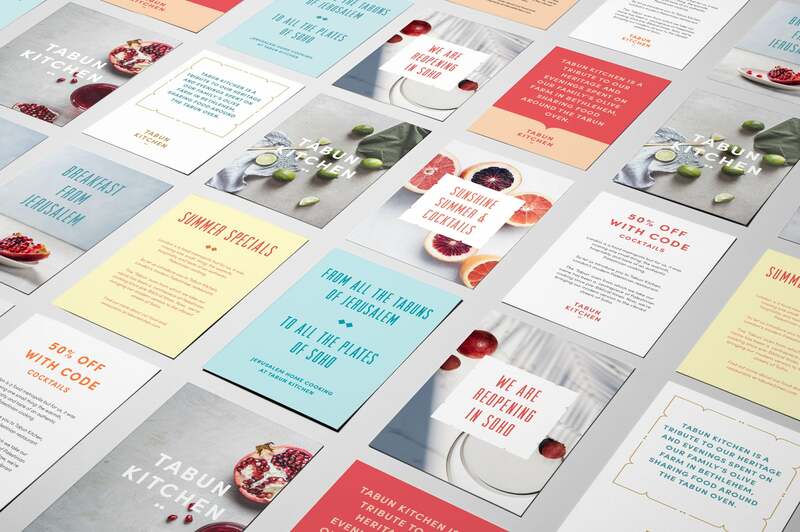 We wanted to evoke these feelings with the new identity and so used a range of warm colours, along with light and airy photography focusing on the use of natural light. 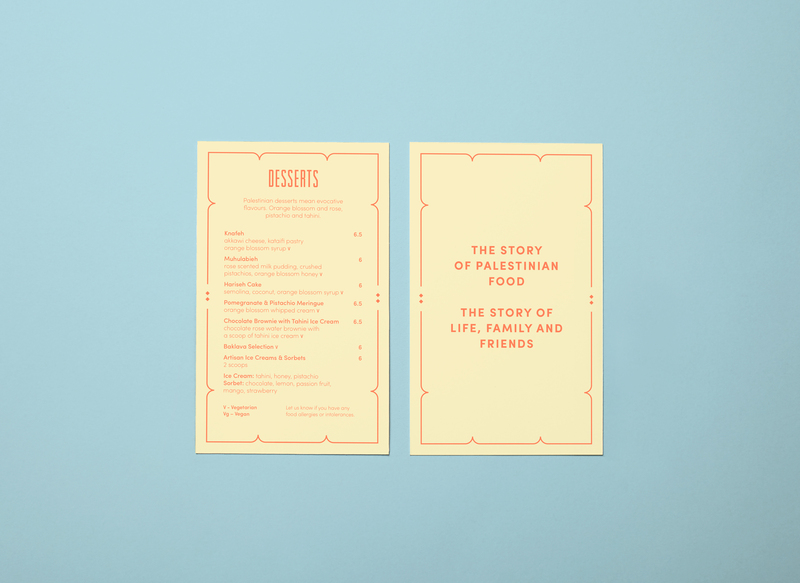 A sense of elegance was brought in with borders and shapes inspired by traditional Palestinian embroidery patterns. 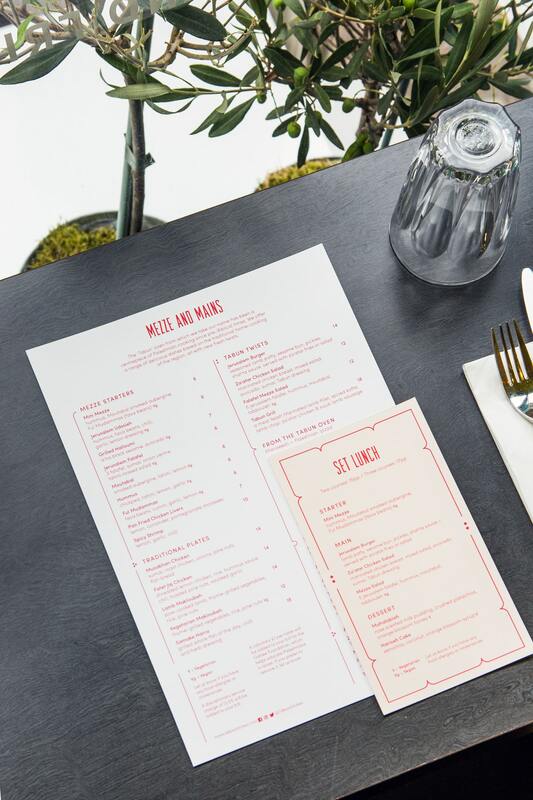 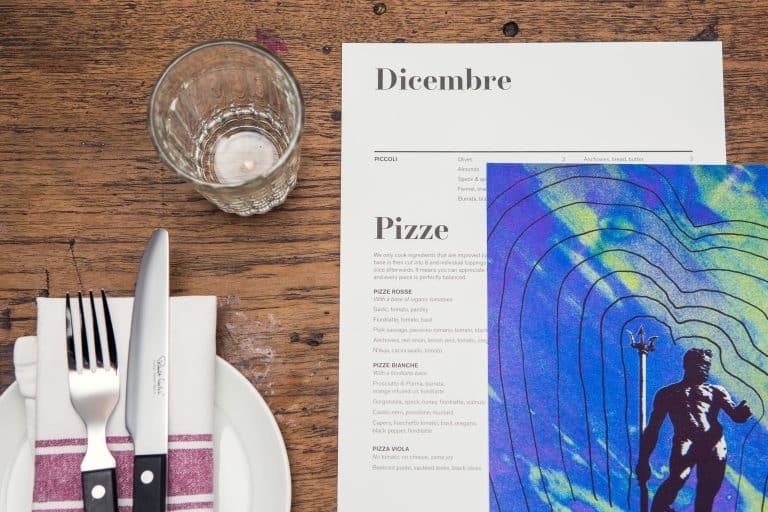 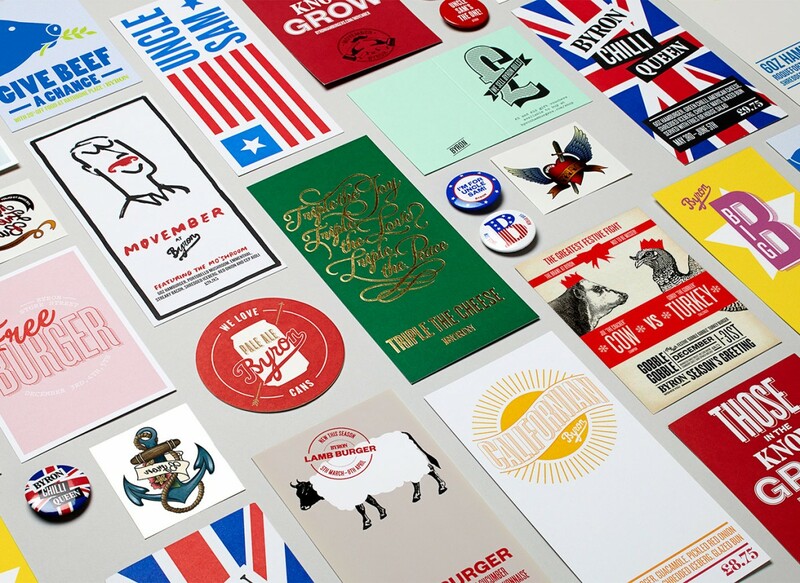 We also developed a tone of voice and copy for the restaurant, in particular for the menus and interior graphics. 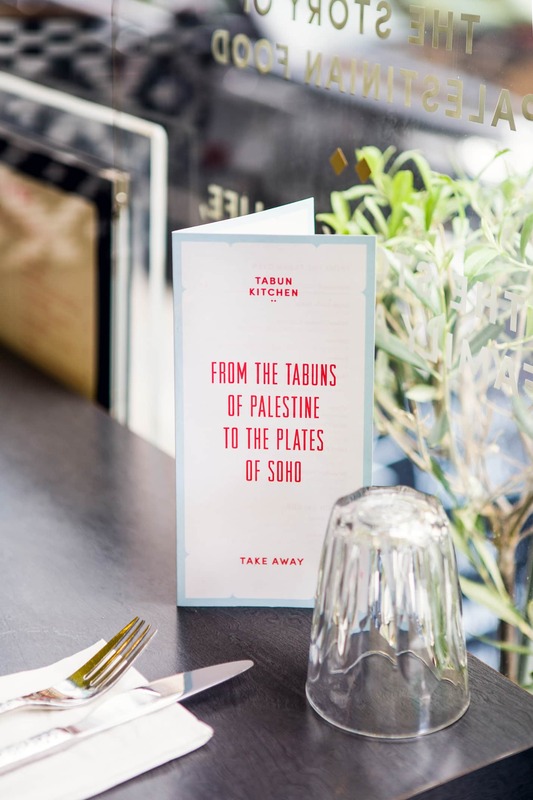 The aims to link the Tabun’s of Jerusalem, to Tabun Kitchen’s current home in Soho. 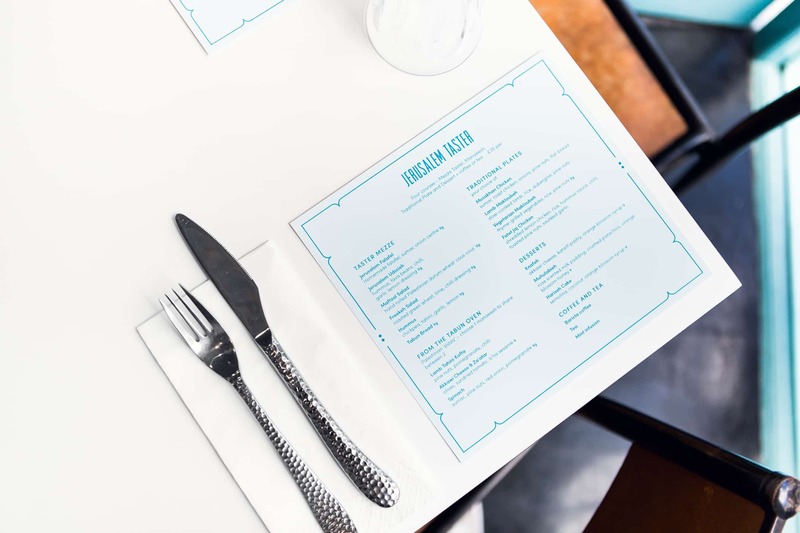 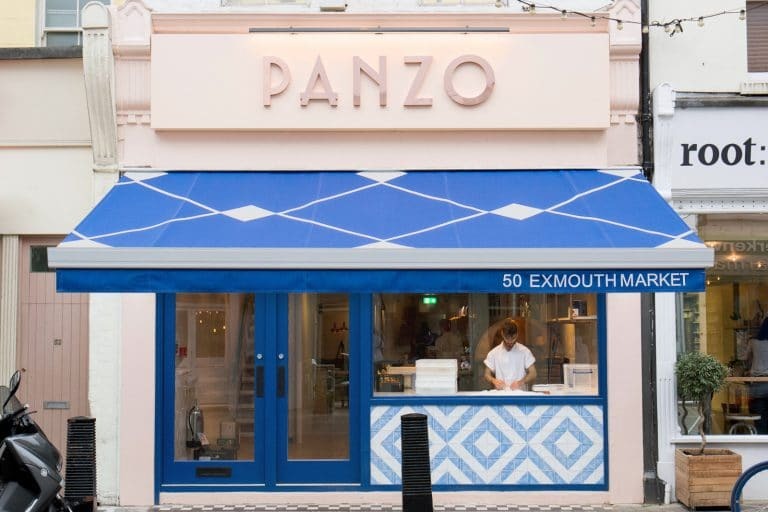 Working closely with interior designer Clare Nash we rolled out the new identity across signage and interior graphics. 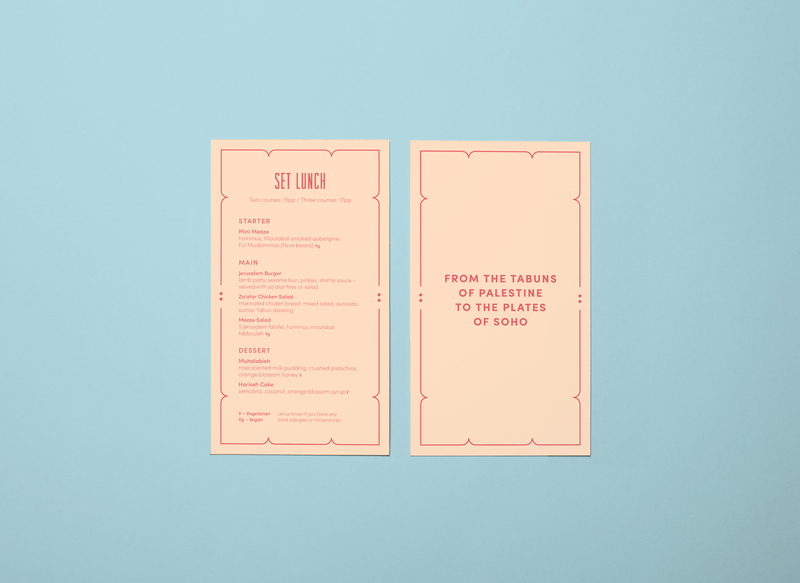 We also worked on the menus and various promotional materials.